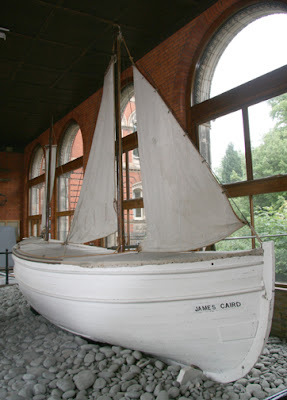 Yesterday's excursion to Dulwich college (or 'high school), a 'public' (which is equivalent to private) school in south east London: The 'James Caird'is the little sail boat that Shackleton and five men sailed 800 miles to reach South Georgia Island from Elephant Island (in the Antarctic) where his men were stranded. 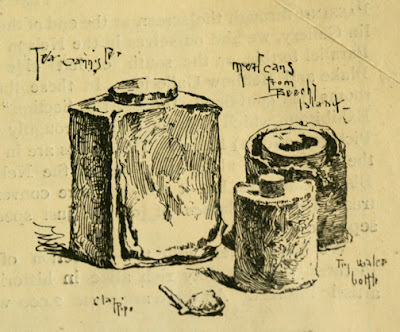 They then had to traverse South Georgia in order to get to the whaling station that was located on the other side. 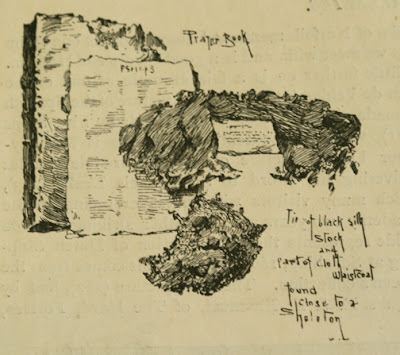 It was the first time the island's interior was crossed. 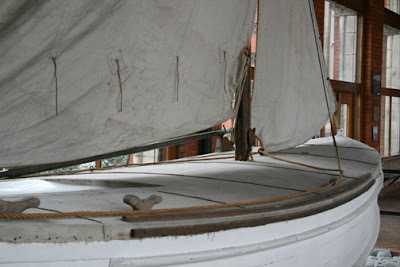 Shackleton's boat, the 'Endurance' had been crushed in the ice but they had managed to get many provisions off. 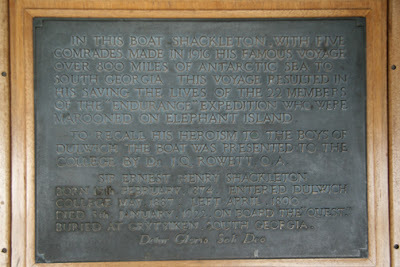 Shackleton attended school at Dulwich College. 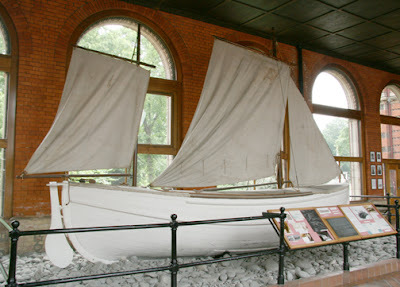 One of the members of the crew refitted the sail boat for their 800 mile journey by adding a few inches around the top ridge and fitting cloth to it so that while 3 men tended the sails and such, the other men could get rest below, out of the wind. 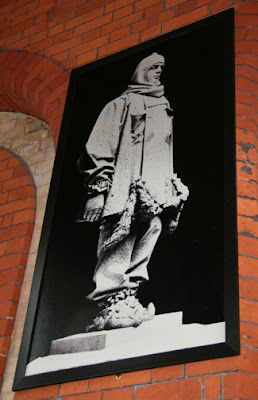 Shackleton donning his Sunday best...on Antarctica. 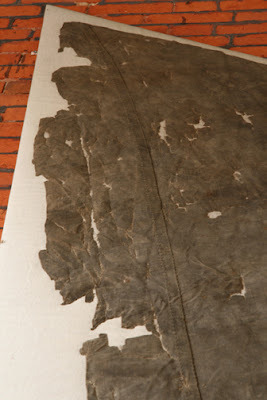 Around the walls of the room were photographs and other memorabilia such as the sledges and sail. 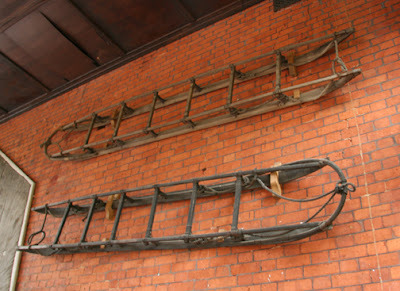 Sledges used during one of his Antarctic trips. 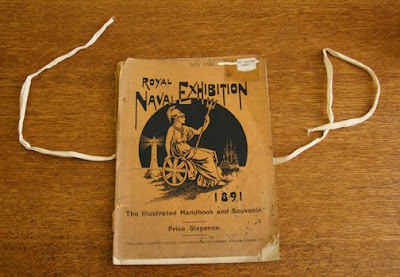 On a different note, this is the souvenir program from the Royal Naval Exhibition in 1891 at Chelsea in London, which had features such as HMS Victory, the ship that Sir Nelson was killed on, a Panorama of the Battle of Trafalgar, an exhibit about Captain Cook, and of course, Sir Franklin and his men. 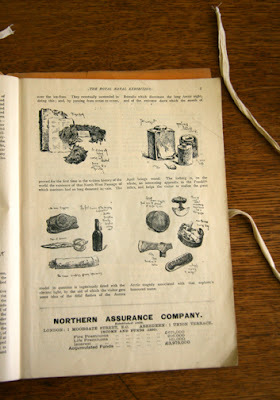 Even then they had advertisements in their programs, which cost 6 pence. 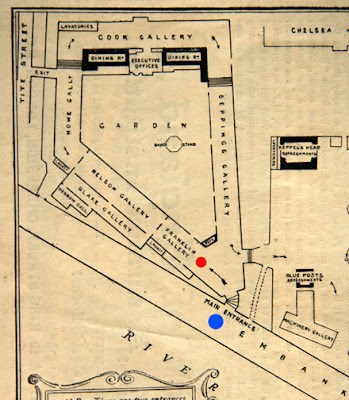 This was the floor plan: notice that I have marked with a blue dot the entrance of the exhibition. The Red dot signals where the Franklin Relics were on display! 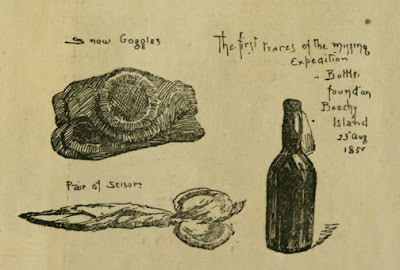 The very first exhibit! 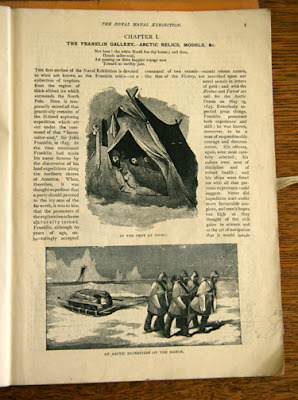 Example of the layout with the 'relics'. 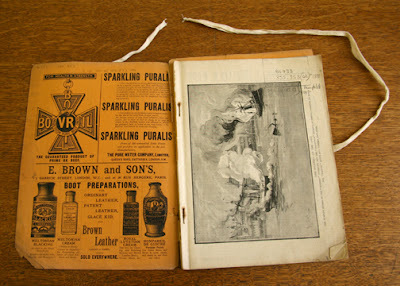 The writing is a bit difficult to read since the program was not in very good shape.